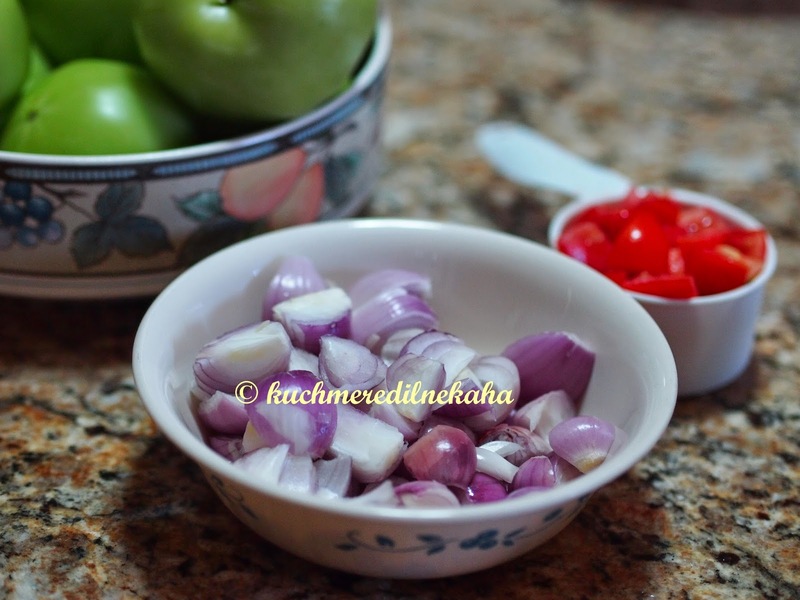 Pearl Onion or Madras onions (as they are called in India) is a great vegetable. 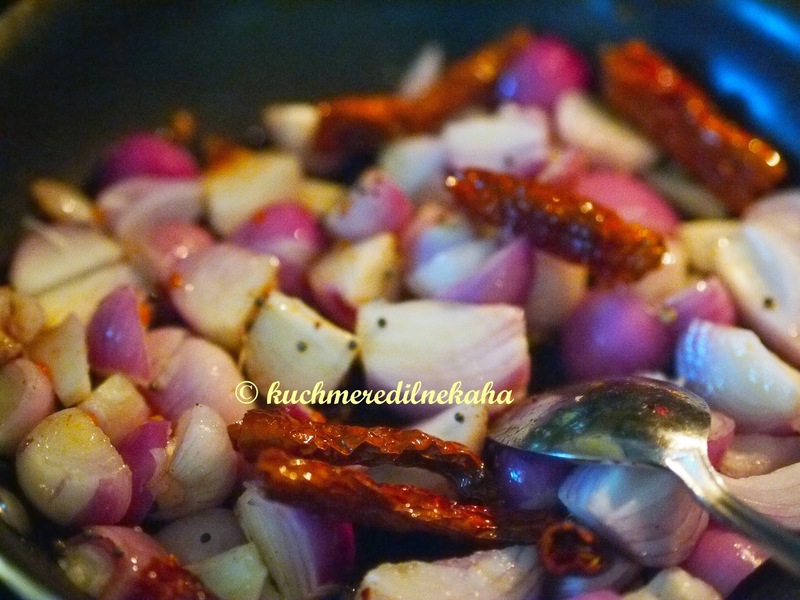 I add them in sambar ( check out the recipe for pearl onion sambar), in sabzis like Bhindi sabzi etc. So when I came across a recipe for onion chutney by Vahchef, I thought why not replace the onion in the recipe with the pearl onions. Believe me the result was truly delicious. Pearl onions in combination with cashews resulted in a creamy chutney which was so good that I wanted to lick the entire bowl just like that:)) Everyone at home loved this chutney too. I served this chutney with Poha dosa. 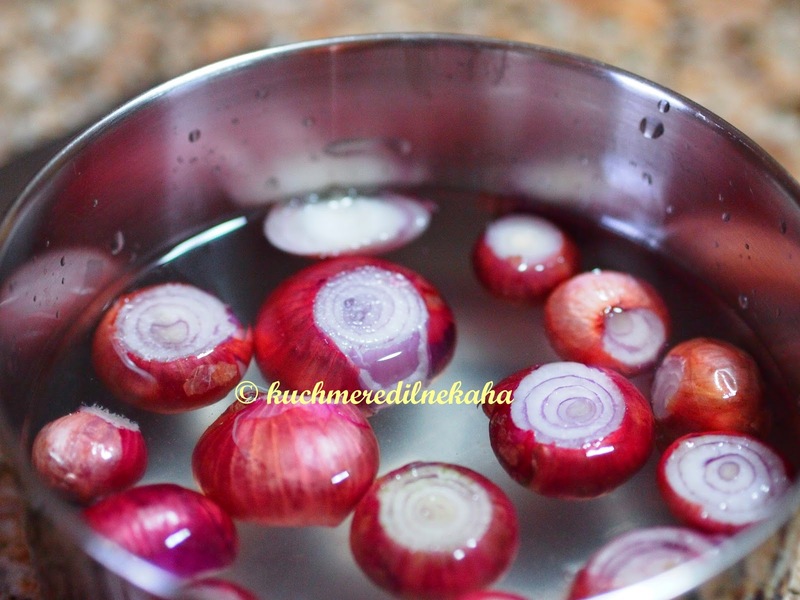 Cut both the ends of the pearl onions and leave them in a bowl of water for 20 minutes. Later peel off the skin. Leaving them in water aids in easy removal of the skin. After removing the skin, cut the pearl onions into 4 pieces. Heat oil in a pan. 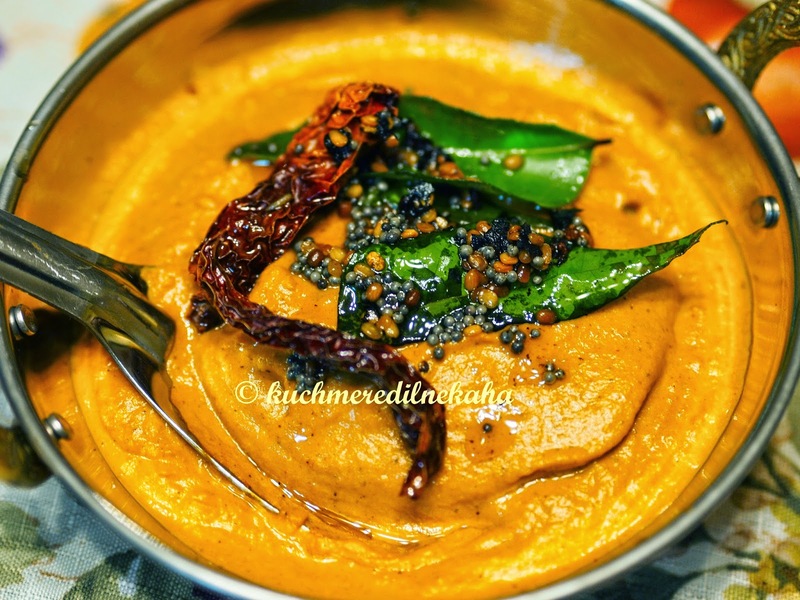 When it is hot, add the urad dal, mustard seeds, dry red chillies and hing. When the urad dal changes color, add the pearl onions. Fry them for 2-3 minutes. When they have turned translucent, add the chopped tomatoes and mix well. 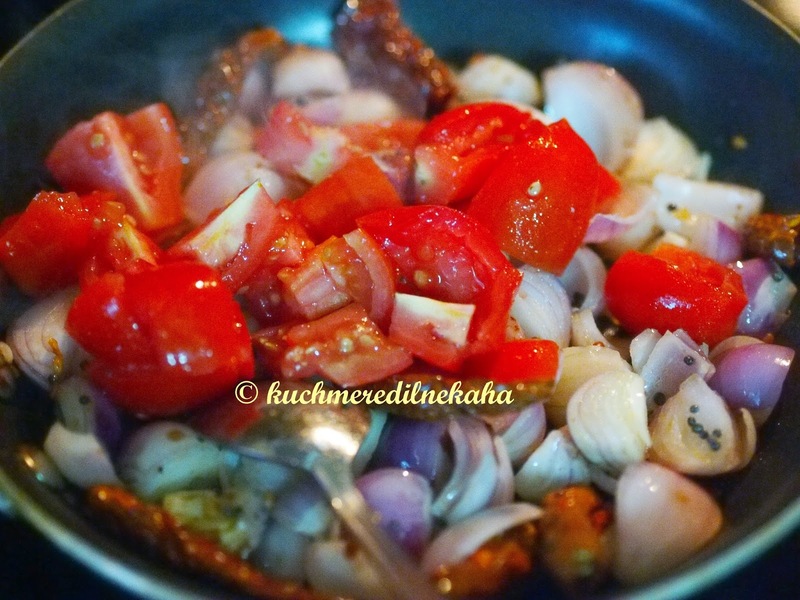 Cook this onion tomato mixture until the tomatoes have turned mushy. When the tomatoes are cooked, turn off the heat. 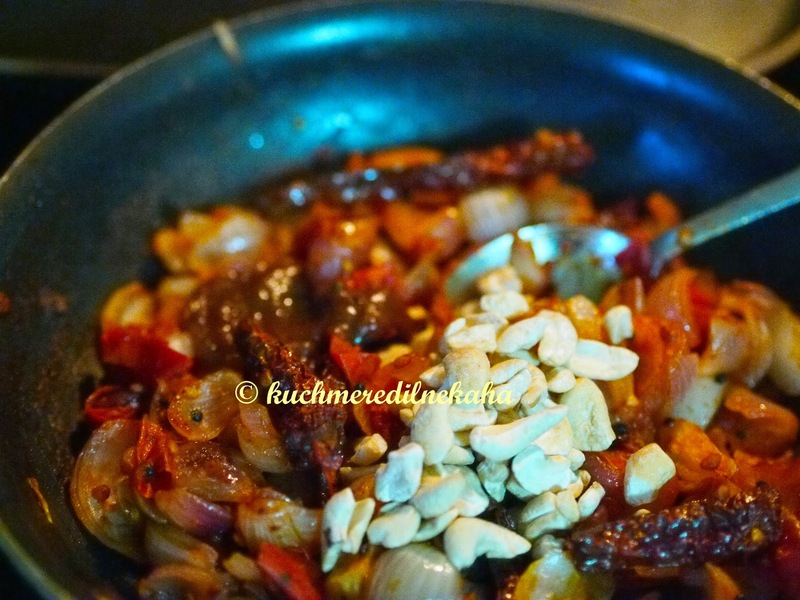 Now add the tamarind pulp and the cashews . When the mixture has cooled down , grind them in to a fine paste. Add the salt and mix well. To prepare the tadka, heat some oil in a pan. 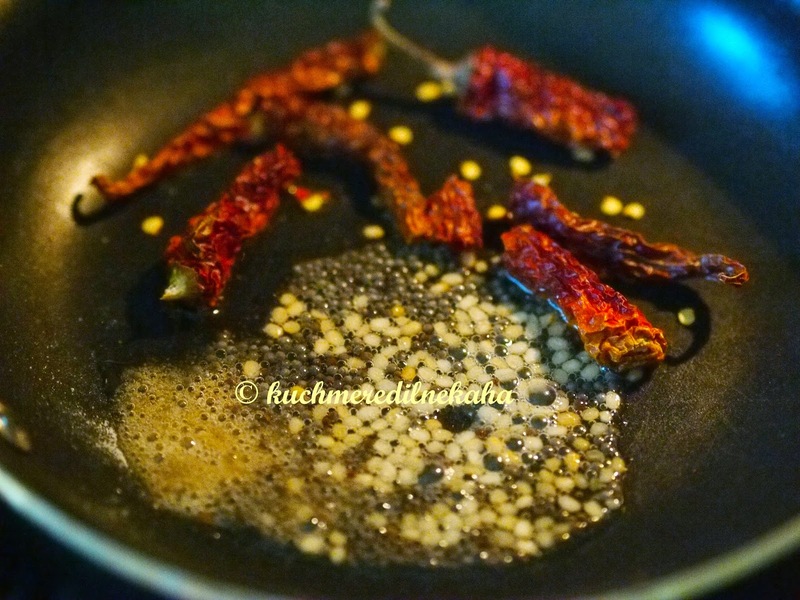 When the oil is hot, add the mustard seeds, urad dal and dry red chillies. 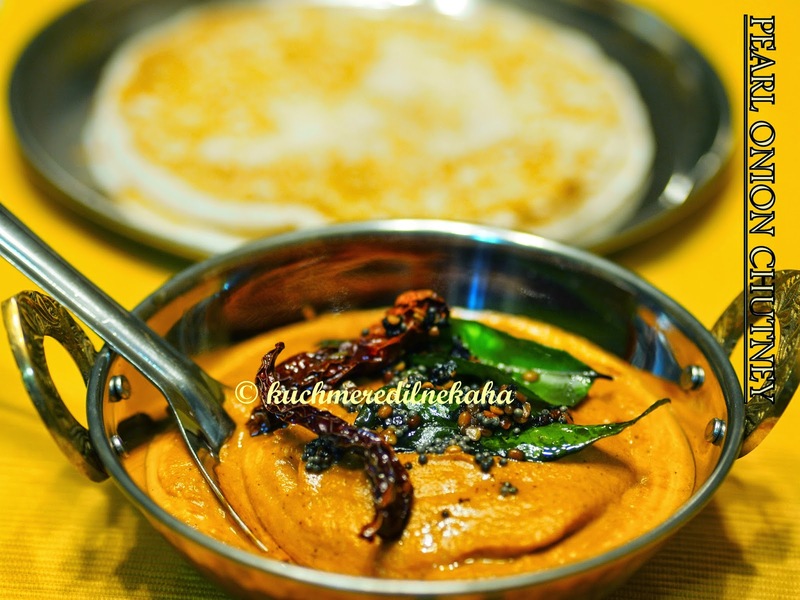 When the mustard seeds start to splatter, add the curry leaves and add this tadka to the chutney. 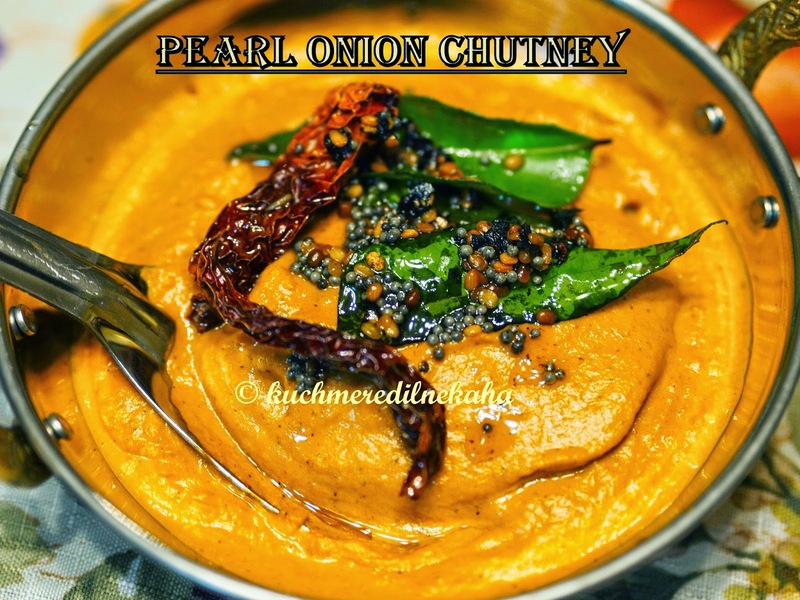 Serve this chutney with dosa or idli. Very nice and tempting chutney. Looks soooo yummy. Can I refrigerate it for few days?